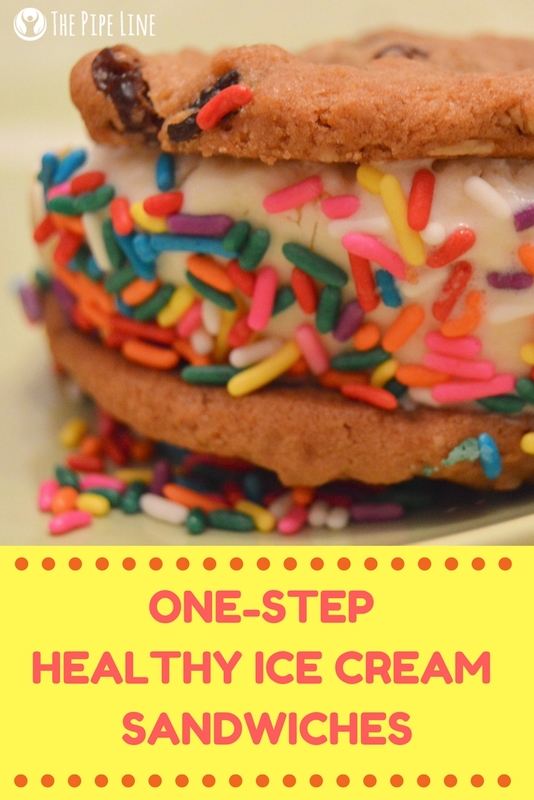 The Pipe Line 10 Minute Healthy Ice Cream Sandwiches To Make This Summer! What makes a summer day that much better? An ice cream sandwich of course! Today is National Ice Cream Sandwich Day, and to celebrate we’ve developed a recipe that is soo yummy you’re going to want to eat it again and again. But wait…there’s a twist, as usual in our posts, this is a healthy ice cream sandwich! 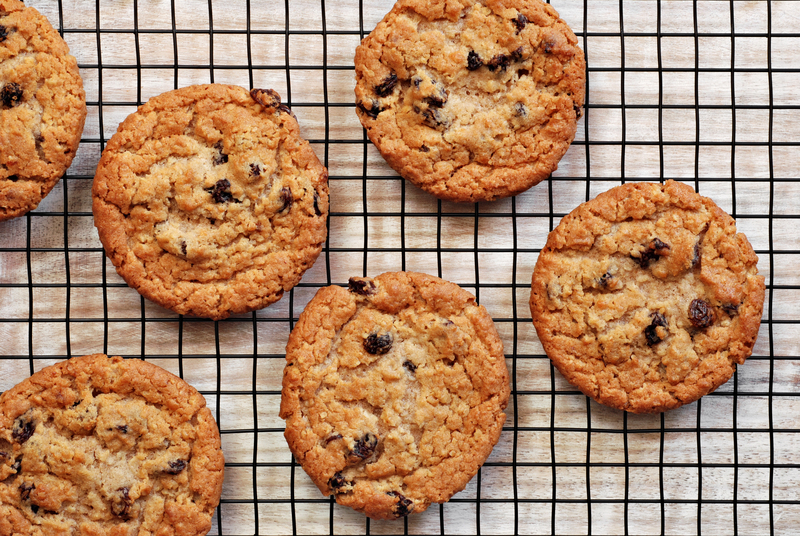 Made from homemade vanilla ice cream and mushed between two layers of oatmeal cookies. The first component to making these Ice Cream Sandwiches, is to make the ice cream! 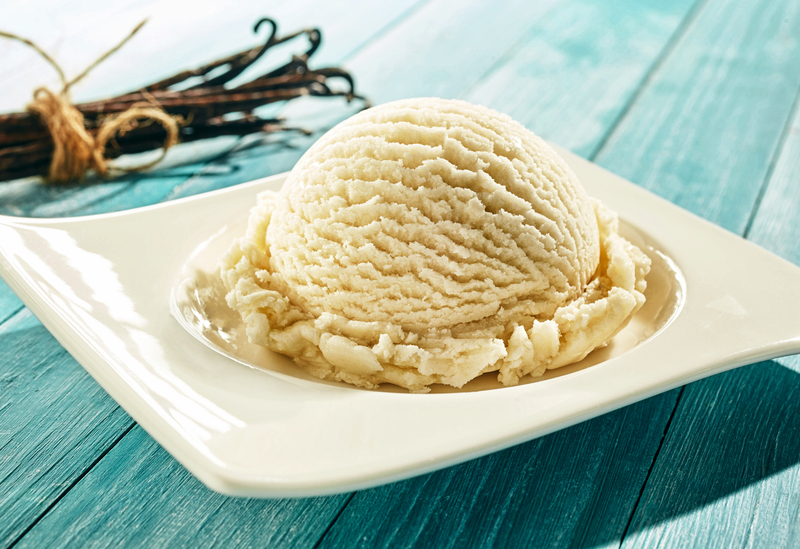 We’ve kept it simple with an easy vanilla recipe. To make these oatmeal cookies, all you have to do is simply combine the bananas with the rolled oats and raisins in a bowl. After, form medium-large size balls with your hands. Bake on 350 degrees for 10-12 minutes. 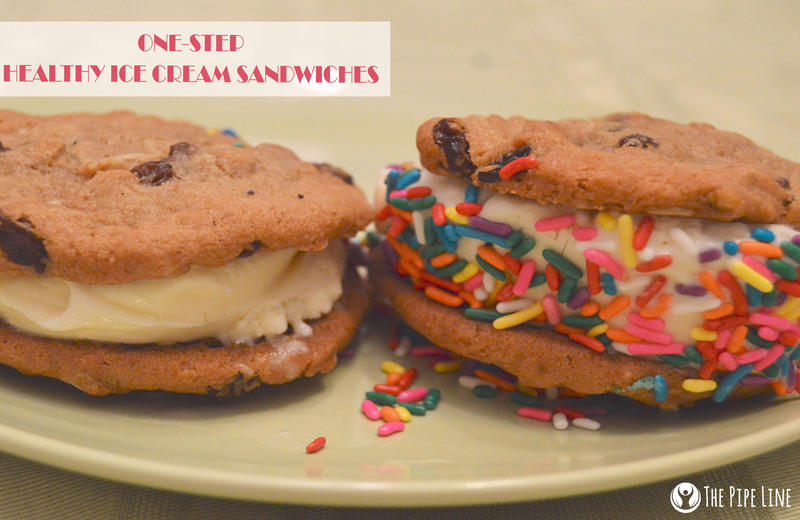 Loved this Ice Cream Sandwiches recipe? Tell us your variation below!